SACRAMENTO, Calif. /California Newswire/ — The Professionals Guild announced today it is producing a Sacramento New Year's Eve Party at the Hilton Hotel, Arden West. Couples are also welcome. The gathering begins at 8:30 p.m. on Dec. 31, 2014. 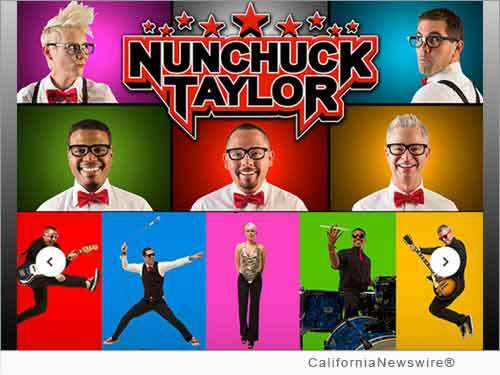 The Live bands for dancing are Nunchuck Taylor and the Groove Thang Band. Keyboard soloist Kevin Kooyumjian and DJ Ron Davis will also be performing in separate regions of the hotel. Prompt ticket buyers are rewarded with a marked down ticket price for this Sacramento New Year's Eve party. Moreover party guests may get an extra rebate code by joining Professionals Guild, the Ultimate Party at http://pguild.com/get-special-party-discount/ . One may get tickets in three ways: (1) buy tickets online at http://www.pguild.com or (2) purchase a Hilton Hotel bundle bargain at Pguild.com or visit the Hilton Hotel, Arden West in the flesh before 6 p.m. on 12/31/14. "This is the only gigantic and exquisite New Year's Eve party for singles in Sacramento. A lot of unhitched males and cheerful available ladies go to this party. This makes the occasion quite different from other New Year's gatherings," says Phil Seyer, chief of Professionals Guild. "Every big hotel in Sacramento sets up a New Year's gathering, But we are the only Sacramento association that offers a tremendously, rich gathering like this for singles with couples also welcome." Seyer concluded, "A spouse as of late let me know: 'My wife cherishes your Professionals Guild events on the grounds that singles know how to party!'" Entertainment includes two live bands, gaming for prizes, photography, and smooth jazz for easy listening. Party goers can move from room to room for distinctive encounters with no extra fee. Professionals from varying backgrounds attend this New Year's Eve celebration. "It's a grand blend of individuals of all ages 21 up," said Seyer. "Although some in their 20's attend, those in their 30's, 40's, 50's, 60's and even 70's will fit in well." With respect to dress, Seyer clarified, "Men ought to dress like a prince. Women will love them for it." For more data, call the Professionals Guild at: 925-888-4392. For room reservations, call the Hilton Hotel at 916-922-4700 and press 0 or visit http://www.PGuild.com/. Professionals Guild and the Hilton Hotel are also supporting a contest for a free room and supper at Hilton when people buy party tickets or package deals at the hotel. Those who buy tickets at the Professionals Guild tickets website may designate that their purchase is to supports one of these charities: Children and Human Rights, Animals and the Environment, or Micro Finance and Micro Loans.